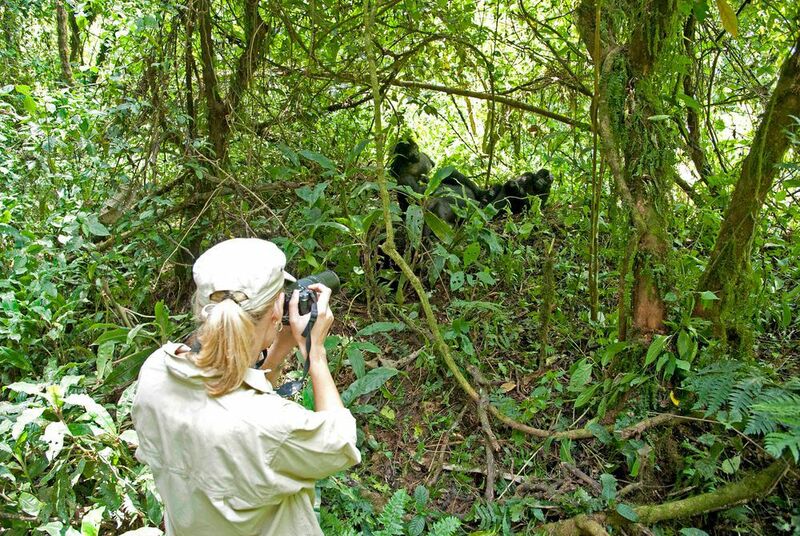 An encounter with Rwanda's mountain gorilla's is a truly life-changing experience. Trekking through the jungle of the Parc National des Volcans for an audience with these magnificent creatures is something that will certainly live long in the memory. 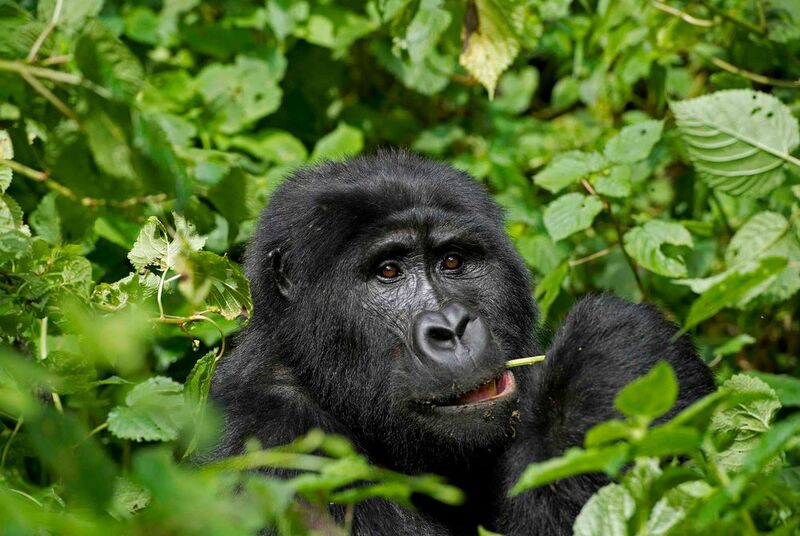 This weeklong, two-country safari pairs three nights in the Rwanda's Parc National des Volcans, tracking gorillas, and a further three nights at Kyambura Gorge Lodge from where you'll go in search of Uganda's endangered chimpanzees. 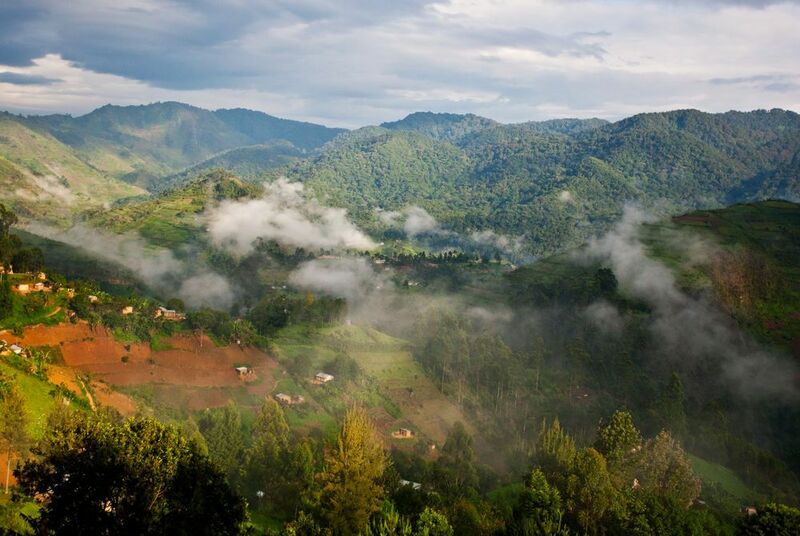 Depart the UK onboard an overnight flight, arriving in Kigali on day two. Arrive in Rwanda’s capital Kigali, and meet your expert guide who will be looking after you throughout your adventure. Your journey from Kigali to the Parc National des Volcans will take you out of the city and into the countryside, the scenery being characterised by beautiful terraced hills before gradually getting steeper as you travel towards the base of the spectacular Virunga range of volcanoes, before finally arriving at your home for the next three nights - the delightful Volcanoes Virunga Lodge, framed by five conical peaks. After breakfast, the magic begins when you head into the national park to find the mountain gorillas. You could be lucky and locate them immediately or some days it takes a little longer, however your patience will be more than paid off when you spend a magical hour sitting with these incredible creatures, an experience you will never forget. Back at the base, enjoy a late lunch and relax in the peaceful surrounds of the lodge. This morning, depart on a tracking adventure in search of the endemic golden monkey. Later this afternoon, spend the day as you wish, perhaps relaxing on the fine beaches on Lake Kivu as you reflect on your great ape encounter. Set off for the private air strip in Kisoro for a flight to Kasese and connecting transfer for Kyambura Gorge Lodge. Upon arrival, explore the lodge grounds and mountain stream, visit the local village or take part in a nature walk before settling in for the evening for your included dinner. The Kasenyi plains provide excellent game viewing, and either this morning or evening you have the opportunity to spot lion packs, large herds of Uganda kob and leopard in the Mweya peninsula thickets. 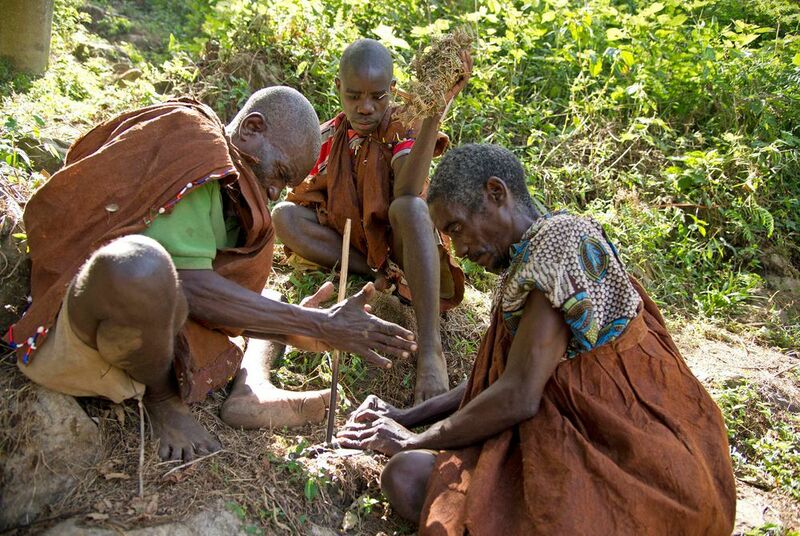 The remainder of the day can be spent visiting various community projects from the Volcanoes Safaris Partnership including the Women's Coffee Cooperative Tour, Empundu Playground visit and much more. After breakfast, set off with your guide in search of chimpanzees. Then, in the afternoon, enjoy a cruise on the Kazinga Channel, flowing between Lakes Edward and George. Home to the greatest concentration of hippo in Africa and herds of elephant and buffalo, the cruise provides an abundance of game viewing, including great flocks of pelican and the African fish eagle. After breakfast, transfer from Bwindi Lodge to Kihihi airstrip, arriving at Entebbe in time for your connecting, overnight flight home. Upon arrival in the UK, continue your onward journey home.